Introducing the newest addition to our vast collection of mirrored furniture, this beautiful Titanium Mirrored Nest Of Tables is a perfect addition to add to your home interior for a modern and stylish feel. 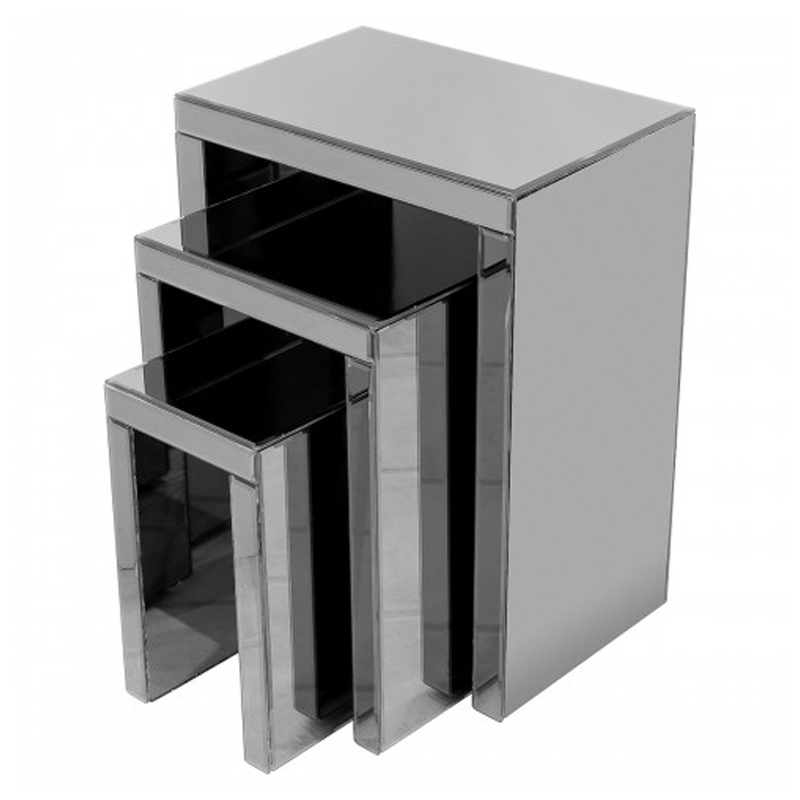 With a complete mirrored exterior which is complete in a titanium colour these tables will perfectly reflect your current interior and fit into any room of your home. Hand crafted to the highest quality it's ensured to last a lifetime and become and focal point of any room.